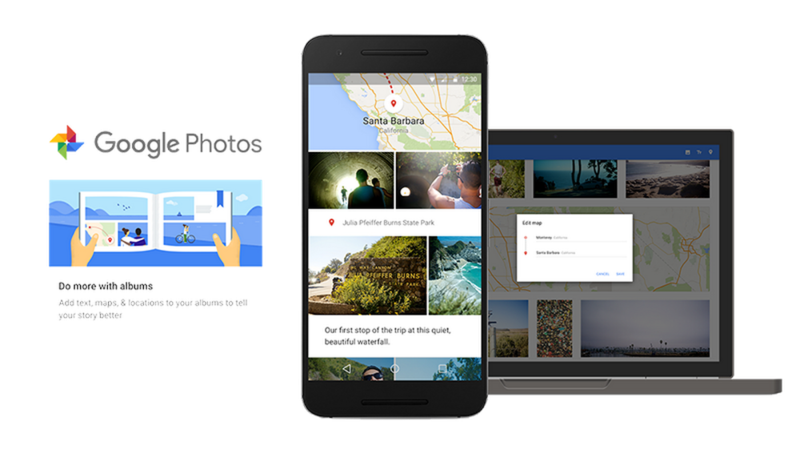 Starting today, after an event or trip, Google Photos will suggest a new album for you, curated with just your best shots. It’ll also add maps to show how far you traveled and location pins to remember where you went—because it's not always easy to recall the late-night diner you hit on your road trip, or which campsite you pitched the tent in when arriving after dark. You can add text captions to the album to describe the view from the small hill, rather the huge mountain you climbed, and turn on collaboration to let others add their own photos. Or if you want to create one yourself, any existing album can now be customized with maps, location pins, and text. Voilà: You have a beautiful album ready to share.